Exclusively Ours! 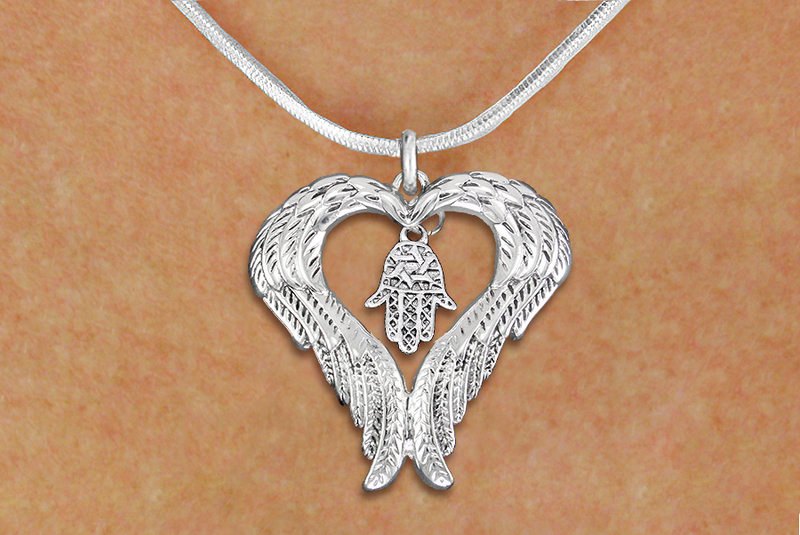 Lead & Nickel Free Antiqued Silver Tone Guardian Angel Wing Pendant With Free Hanging Detailed Hamsa Palm (Brings Good Luck And Fortune) Charm Comes On A Delicate Silver Tone Snake Chain Necklace With Lobster Clasp. Great Idea For Religious Friends And Family. 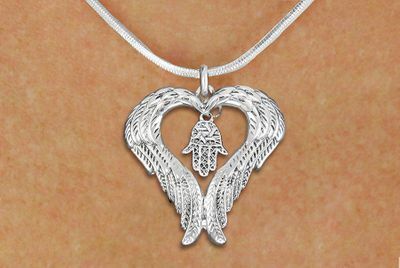 Snake Chain Measures: 18 Inches with 3 Inch Extender Guardian Angel Pendant Measures: 1 3/4"h x 1 5/8"w Religious Charm Measures: 5/8"h x 1/4"w.
Suggested Retail Price - $25.00!